Police have registered a case for allegedly hurling lit torches at the residence of a BJP leader at Titatabar in upper Assam’s Jorhat district. Based on a complaint that Congress activists had thrown lit torches at the residence of Titabar BJP Mahila Morcha general secretary Malabika Shyam Baruah on Thursday night , the case (no 37/19) has been registered at the Titabar police station under sections 143, 294 and 506 of the IPC, on Friday. Members of the BJP unit at Titabar also submitted memorandums to the Titabor SDPO, Jorhat DC and SP urging immediate arrests and strict action against Congress activists who had on Thursday night allegedly thrown lit torches at the residence of Baruah during a torch lit rally. Baruah had lodged the complaint at Titabar police station soon after the incident. S Dutta, officer-in-charge of Titabar police station said that the investigating officer was looking into the matter and that no arrests had been made as yet. 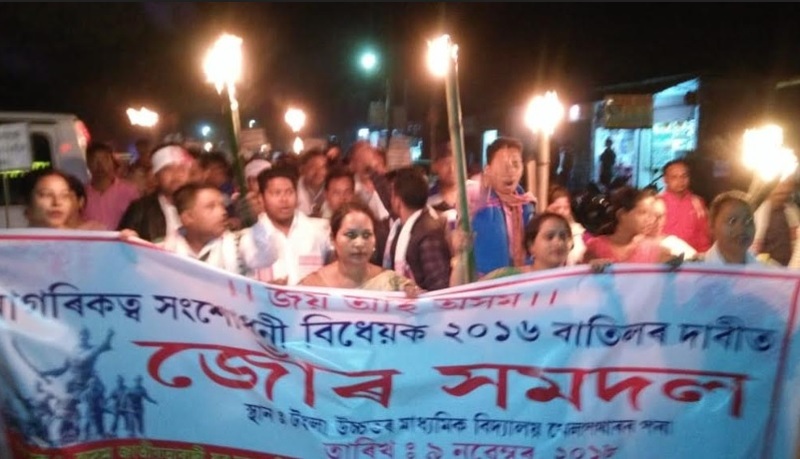 The alleged incident occurred after the Titabar Melamati Congress unit had taken out a torch lit protest rally against the Citizenship (Amendment) Bill,2016, which had culminated at Amgurikhat, where the residence of Baruah is located. The Titabar BJP unit alleged that flinging lighted torches at Baruah’s residence was an act of intimidation and that the culprits should not be allowed to get away.